Free Shipping Included! 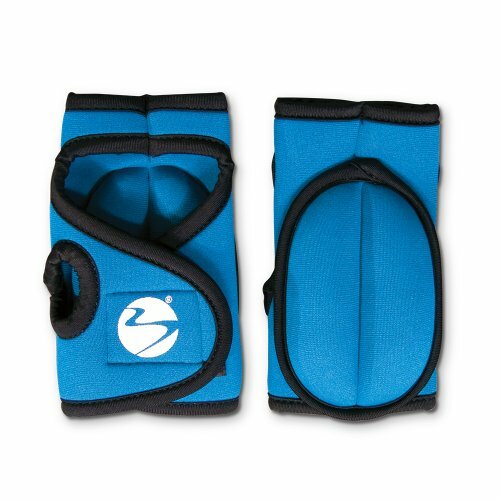 Weighted Sculpting Gloves: Great for TurboFire & Turbo Jam - 1.5 lbs Set by Beachbody at Cardio Fitness Plus. MPN: ACCGLV2101. Hurry! Limited time offer. Offer valid only while supplies last. Increase the intensity of your workouts! Ramp up your cardio training by adding more resistance and get the lean, toned arms you've always wanted! Increase the intensity of your workouts! Ramp up your cardio training by adding more resistance and get the lean, toned arms you've always wanted! Our easy-to-use, comfortable weighted hand gloves strengthen and sculpt your arms, chest, and shoulders and improve your stamina. Wear your gloves along with trainer Chalene Johnson in her Turbo Jam® Maximum Results program for accelerated fat-burning and sculpting results, or with any cardio workout to break through fitness plateaus, spice up familiar routines, or take your results to the next level! You're guaranteed to burn fat and tone lean muscle faster with these best-selling resistance tools! Perfect for turbocharging your upper-body workout!